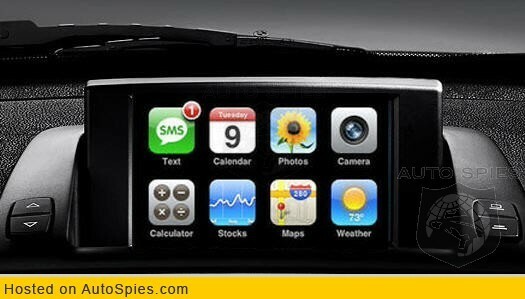 AutoSpies has learned, by way of “reliable sources,” that the next BMW 7-Series will feature in-dash iPhone integration. As you can see in this supposed shot, the iPhone will cradle in the dash and presumably be controlled by buttons on the steering wheel and/or voice. While this rumor doesn’t seem too far-fetched, I’d suggest proceeding on the side of caution with it until we get further confirmation.